Hooray! 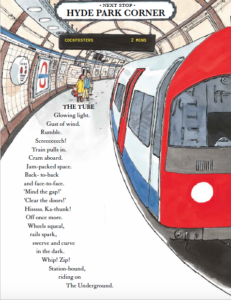 Today I get to introduce an adorable new picture book–ALL ABOARD THE LONDON BUS by Patricia Toht (illustrated by Sam Usher) which releases next week (May 4th!) 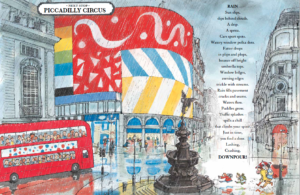 It’s the delightful story of a family exploring the exciting sights of London (Buckingham Palace, the London Eye, Big Ben, and much more) while riding on a red double-decker bus. In this book, inviting poems and Sam Usher’s gorgeous illustrations combine to create a wonderful adventure everyone will enjoy. The poems are sharp and engaging, while at the same time they share interesting facts young readers (and older ones too) will find fascinating! 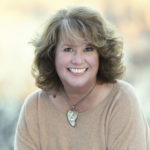 Author, Patty Toht, has kindly agreed to answer my nosy questions and give us a behind-the-scenes look at the book. AND she’s giving away an autographed book to one lucky person who leaves a comment on the post! Thank you, Suzanne! I’m so happy you asked me to chat. 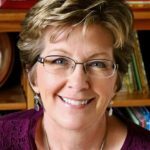 I love the Picture Book Builders blog! My background includes lots of kids and books – teaching, facilitating author and illustrator visits, working in public and school libraries. The thing I have in common with Meg Ryan is that, just like her character (Kathleen Kelly) in You’ve Got Mail, I owned a children’s bookstore and, unfortunately, my store followed the same script and succumbed to fierce competition from the big stores, too. If you’ve seen the movie, I actually had a particular Kathleen Kelly experience! Do you remember the scene where she checks out Fox Books? Well, after my store closed, I was hanging out in the children’s section of Borders when a customer said to the clerk, “I’m looking for a poetry book. The author’s name is Jewish. Weinberg? Or Finkelstein, maybe?” The clerk tapped away at the computer, and said “I don’t see anything under those names…” At which point I said, “Shel Silverstein? Where the Sidewalk Ends?” and I put the book in his hands. I also have have another You’ve Got Mail moment – I met a cute guy at the store and he is now my husband! It’s interesting a writer who’s lived most of her life in Chicago ends up writing a book based in London. Can you tell us about your recent life experience which led to the creation of ALL ABOARD THE LONDON BUS? I’m sure many people will wonder about that! My husband is co-creator of a children’s TV show called Chuggington, and his job took us to London, where the show was produced. 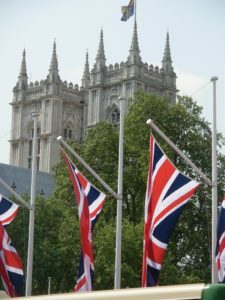 During our years there, I had lots of time to tromp around London and write. 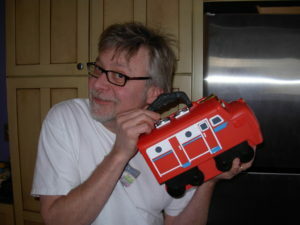 My experiences worked themselves into poems which became the collection ALL ABOARD THE LONDON BUS. I also signed with my agent Julia Churchill there and made lots of SCBWI-British Isles friends (“Scoobies!”). It seems every book has its own unique journey. Were they any particularly challenging or interesting twists during this book’s creation process? The biggest twist was that we moved back to the US before the collection was finished! Luckily, I had packed two notebooks with loads of information and photos that proved to be invaluable. Another interesting twist was that my agent and I were both worried about its salability, but a terrific critique at the SCBWI LA Conference led to a U.S. publisher requesting the full manuscript. That publisher turned it down, but it gave the manuscript a needed boost to be submitted around the U.K. Frances Lincoln Children’s Books picked it up and paired me with an absolutely fantastic illustrator, Sam Usher. Sam Usher’s illustrations for ALL ABOARD THE LONDON BUS are so inviting, colorful, and fun! What was the art process like from your perspective. My editor, Katie Cotton, knew immediately that she wanted Sam to illustrate the book. His architectural eye and his Quentin Blake-like characters are just perfect! 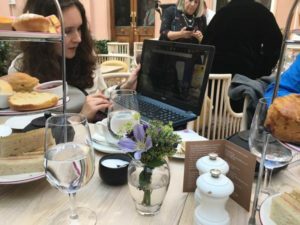 One autumn day, Sam and the publishing team met for tea to discuss the book, and I came along via Skype. (I made myself a scone and a cup of tea at home. It wasn’t the same.) We brainstormed, chopped a few poems, and decided that a few more needed to be written. After that, I followed Sam’s progress on Twitter, as he often posted sketches of what he was working on. It was so cool!! This book is published by Frances Lincoln Children’s Books, a wonderful publisher outside the U.S. How did you end up working with an overseas house? When we moved to the U.K. I left my book collection behind. To feed my reading habit, I frequented charity shops to pick second-hand children’s books. I found charming poetry books published by Frances Lincoln, so when it came time to submit my collection, I suggested them to my agent. I also have two books coming out within the next year that will be published by Walker Books in the U.K., so I guess England is a sweet spot for me! Thank you SO much for joining us Patty! And thanks for sharing your writing and book insights on your wonderful GROG blog! * Giveaway * – To enter the book giveaway simply leave a comment on this post by May 4th (The release day for ALL ABOARD THE LONDON BUS). Winner will be announced May 5th! 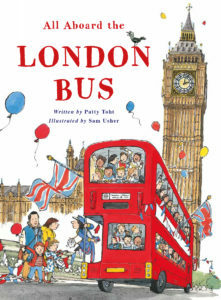 All Aboard The London Bus, Julia Churchill, Katie Cotton, London, Patricia Toht, Sam Usher, SCBWI, U.K. Frances Lincoln Children's Books. Bookmark. My mother-in-law visited the UK often and usually brought back books for my children. They always loved the “home-but-not-home” elements of those stories. I’d like to see this one. I hope you and your kids will like this picture book tour of the city, Lisa. It’s one of my favorite places in the world! Great post! And the background story was so interesting. Congratulations-I can’t wait to read it! Thank you, Elizabeth! London provided lots of awesome material for me to work with! London <3 all around! Thanks, Andria. So excited about this book, Patty!!! Looks fabulous, and I know your poems will be clever, with spot-on rhythms. Can’t wait to see it! Thanks, Jill! As the Brits say, I’m chuffed about it! Congratulations, Patricia! 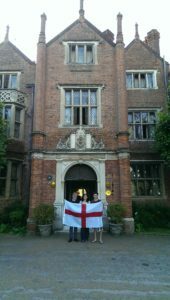 Your story of wandering London & connecting with SCBWI British Islands brought back many wonderful memories, as I, too, began my writing journey on that side of the pond. I look forward to reading your poems & sharing them with my now-grown children who spent many of their childhood years tromping round the city. It’s exciting to hear that you had a similar path! We loved our time over there. 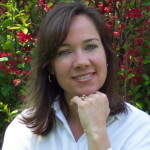 Thanks for sharing my poems with your children, Patricia. Fun interview! Thanks for sharing your stories. Your book looks like one that will be read and reread. I was able to read ‘The Tube’, on my phone (from the interview) and loved it! Oh, that’s kind of you, Sheryl! I sure hope kids will return to the poems over and over again. Thanks for stopping in! Patty, this looks wonderful! Can’t wait to use it to tie into our Summer Reading Program theme, “Build a Better World”. That’s a great summer theme, Janet! I’m happy that the poems might fit in. Thanks! Congratulations! What a beautiful book. I can’t wait to read it! I love London! And the book seems lovely. Congrats! We share our love on London. It was very inspirational! Thanks! I love London and this book looks like a trip down memory lane. Beautiful illustrations! We loved the history of London, Stacy. It’s cool to have castles right in the city! Thank you! Sam Usher’s illustrations are so rich and colorful. I hope you enjoy reading it! I love London! Thanks, Patty, for writing a children’s book about this wonderful city! And thanks, Suzanne, for the interview! Thank you, Mary! I’m happy to hear that there are so many London lovers here – it is a fantastic city. Great interview, Suzanne! Thanks for highlighting another great poetry PB. There seem to be several good ones out already in 2017. YAY! I agree, Traci. Poetry sure is experiencing some love right now! 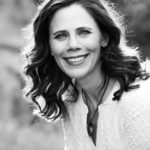 Love the insightful questions in this interview and, of course, Patty Toth’s book birthday makes me so happy that I’d like to celebrate with her and have a spot of tea! CONGRATS, Patty. Cheers and cheerio! This sounds absolutely delightful, Patty. What an exciting writing journey you are on. Proud to know you. This looks so fabulous, Patty! Looks like it’s been beautifully designed too. Congratulations! Thanks for the interview, Suzanne. Thank you, Linda! I’m so glad that Suzanne invited me to stop by for an interview. And I agree – the cover is quite magical! I can’t wait to get this, Patty! We lived in the UK for 4 years — that’s where are youngest was born. Looking forward to seeing London through your eyes and wonderful rhymes! Linda! I had no idea you lived in the UK for 4 years! I hope the poems capture your experiences, too. Congratulations, Patty! This looks like an amazing pairing of author and illustrator. And what an inspiring cross-continent writing journey! This looks absolutely adorable! What charming illustrations. Thanks, Angela! BTW, I love your photo up there ^^^. Thanks, Jennifer! I’m so glad you had some time to visit London. I hope the book reminds you of those fun times. Congratulations! I can’t wait to read this book. My next door neighbors are from England and this will be fun to read and share it with them. I love “traveling” through books. It’s cool that you can share the book with your neighbors, Danielle. I had to rely on my Brit friends to make sure I wasn’t using American words in my poems instead of proper British words! It’s been decades since I’ve been to London, but I sure want to revisit the city again with Patty and her new book! Road trip, Kathy! Well, I guess it would have to be air trip or boat trip, but any way we’d do it would be tons of fun! Great interview! Looking forward to seeing this book. Thank you, Erin! I hope you enjoy it. Congratulations! The book looks awesome and I love the back story. Thanks, Julie! It was a fun book to write! Thank you, Katy! Wow, you have a British expert in the family? I’m sure he will know many more interesting facts about the city! This looks like such a fun book. Thank you so much for sharing. I also love that you shared your Kathleen Kelly experience. I’m looking forward to reading this book! What a lovely book! It brings back memories of my visit to the UK in 2001. I went with a friend who was from there and we had a blast! I can hardly wait to read your book! Congratulations, Patricia! Thanks for taking us on the double-decker ride of your book’s beginnings. Thank you, Buffy! I loved the idea of my book journey being a double-decker ride! Thanks for sharing your writing journey and story behind the book. Congratulations! Thank you, Tina! Nice to have my fellow Groggers see this finally come to fruition. Congratulations, Patricia. Your book looks charming, and I think you’re so lucky to have Sam Usher as your illustrator. I’m a big admirer of his book “Snow”. I’m a huge fan, too, Heather. Have you seen Sam’s new book, RAIN? It’s wonderful! Such good news , Patty and I’m looking forward to getting and reading your book! 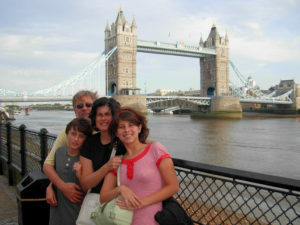 We’ve been to London a few times and it’s a fascinating place to visit with lots to see and do for people of all ages. Congratulations on your book! Thank you, Anne! I’m glad you’ve had a chance to visit London – it’s a wonderful place. Congratulations, Patty. I love to see books of poetry for children being published! The illustrations are beautiful. I can’t wait to read this one! Thanks, Judy! I see more poetry books for kids out these days and that warms my heart, too. I hope you enjoy the poems in my book, too. I want to be on board the London bus! Is that too much to ask??? Do it, Tammi! You know you want to! Thanks for the congrats. I can’t believe the pub date is only a few days away! Love this book! I also love London. My grandson always wears a little shirt with a London bus on it. He loves buses and I know he will love this book! Congratulations! Hugs to your adorable bus-loving grandson, Angie! Thanks! London is fabulous. I can’t wait to see this book. Congratulations, Patricia! Thank you, Cathy. London is a wonderful city, indeed! So EXCITED to add this book to my home library – and also gift it to many friends with little ones who love to learn more about new places! Congrats, dear friend, Patty Toht!!! This book sounds brilliant! Now I want to go to London – but I’ll need to settle for reading All Aboard the London Bus. Thanks, Claire! I hope you will be able to visit London some day soon. Can’t wait to hold this book in my hands! It’s so interesting about the meeting with the team and the illustrator and how that changed the book. Thanks for sharing. Another on of my dear critique friends to thank – your help was so important to this book, Darcy! Cheers! Congrats Patricia! Nothing says London like a double-decker bus! I can’t wait to go on a ride. Is it common in the U.K. that authors collaborate with illustrators? It seems so different on this side of the pond. I’ve never heard of a brainstorming Skype session like you describe. I’m curious if there will be an Americanized edition with American spellings–not that I can’t read British😊 Just wondering how publishing abroad works with distribution in the States. Is an American version considered an exercise of foreign rights? I think it is a bit unusual to collaborate on either side of the pond, Gretchen. I lucked out to have an editor that set up a time for us all to chat. For this book, there will not be an Americanized version, since its primary market is in the UK. I do have another book, PICK A PINE TREE, coming out in September from Walker Children’s Books in the UK and Candlewick Press in the US. I’m curious to see if there will be tweaks in the language and spelling. As for the foreign rights, Frances Lincoln is part of the Quarto group which is also in the US, so they’re the same company. Thanks, Cindy! I hope you enjoy it. Congratulations on your book publication! Thanks for sharing your inspirational story. Congratulations! This looks like such a fun trip to take!!!! Thanks for sharing, Suzanne. Congratulations, Patricia! (We met at the WOW Retreat in GA.) Your book looks fantastic. Best wishes on its success! Patricia! Nice to hear from you! I hope your writing is going well. Thanks for your kind wishes. I love the story of how this book came together. Thank you so much for sharing. It looks gorgeous! I can’t wait to get it. I love Sam Usher’s illustrations, too, David! Thanks! Excellent! Super! Good Job, Patty! Thank you for sharing your story behind your upcoming book, ALL ABOARD THE LONDON BUS. Your upcoming book looks delightful. I’m looking forward to my very own copy. Thank you, Suzy! I hope you enjoy the sights! Can’t wait to pick this up. I enjoyed hearing about its journey.The illustrations look like a perfect match. Congratulations! Hi Patty. I’m looking forward to whisking back to London via your charming book! Reading is the next best thing to traveling! Congratulations, Patty!!! Love the title, illustrations and everything about the book as London is one of our most favorite place. We used to live in London when my kid was 2 yrs old and have had a similar experience visiting the places in double-decker bus. We have moved and unfortunately my kid doesn’t remember most of the places and what we did. We often see the photos we took and talk about it. It would be great to have the signed copy of this lovely book. I’m sure our whole family would enjoy reading and cherish our memories! I’m so glad you had a chance to experience London, Radha! I couldn’t help but tweet about this jolly ride, Suzanne and Patty. I will love to read it in Kindergarten & First grade as a volunteer. I know the authentic UK groove in this poem collection is heartfelt. P.S. So much wondering, which Brave Jane your forthcoming, is? Will look for your other titles now as this post is my intro to your Works. Thanks, Jan! I think I recall seeing some photos from a wonderful trip you took to London – was that just a little while ago? such a successful bookseller. You care so much about each patron. gazing at this lovely image of your London partners at tea. of all, for young readers & families. You experienced that daily for so long. It’s no wonder you are the perfect tour guide, with these poems. Glad you are playing with the double-decker theme for book events with this. And what fun to learn about your hubby’s Chubbington TeeVee creation! Will look for it on You Tube. adults there on Y.T. & it’s helping us ease out of London withdrawal . . .
Wishes for great high teas over this new book! P.S. is for Suzanne . . . tnx. Good morn, Suzanne. It’s a mighty fine feeling to know that more about this Force for Good leader will be shared with students. Your picture book bio. will ensure more fans. I look forward to following the link. Appreciations & happy book launches, upcoming! You are so kind! I hope this book does share Jane’s incredible life with a lot of young readers. Cheers! I visited London in November of 2015 and loved it. I managed to meet with SCBWI authors at Fleet River Bakery near Drury Lane. Your book makes me want to go back. Thank you, Cassie. The SCBWI folks in the British Isles were so kind to me, too. I hope you have a chance to return to London soon! I can’t wait to read the entire book, Patty. I loved getting glimpses here and on Amazon! Congrats!